This article is 3322 days old. Canadian rock band, Our Lady Peace, will be performing a live acoustic set at the Spitfire & Firkin Pub in Tecumseh at noon tomorrow as part of an 89x St. Patricks’ Day Party. Our Lady Peace will take the stage following a St. Patricks’ Day parade, starting from the Tecumseh Town Hall at 10am. 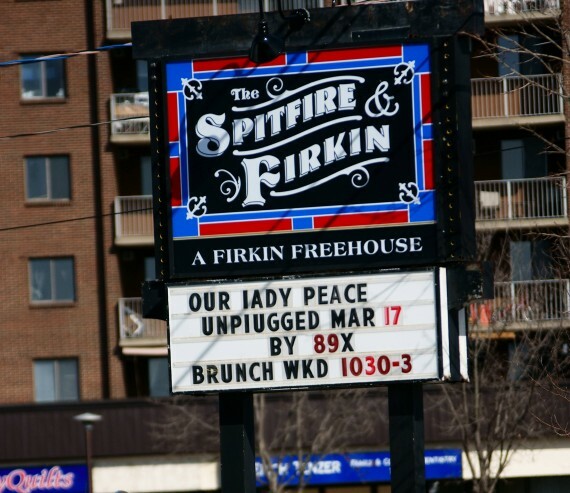 The Spitfire & Firkin Pub is located at 11828 Tecumseh Rd E. in Tecumseh.